Grace Pham, a junior and the secretary of the Breakfast Club, joined journalism with the intent of exploring it as a potential career path and to see how the media influences our society today. 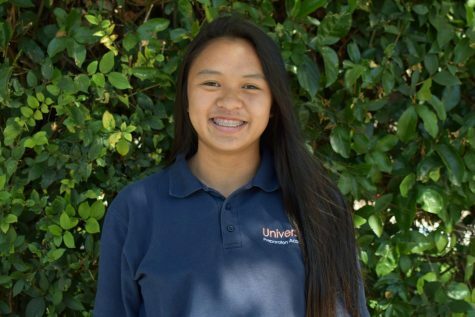 She wants to be a nurse in the future; although she has an interest in the medical profession, she does not want to have the pressure and responsibility that comes with taking care of someone’s life. Despite being bilingual, she tends to speak more in English than in Vietnamese at home; she would also like to learn French someday. An avid traveler, she has enjoyed trips to Canada and Mexico. However, she has never left the continent and wishes to visit her home country of Vietnam and explore more of Asia — Japan, India and Singapore in particular. Grace wants to travel to those countries because the cultures are very diverse and intricate. Sunny spring days with no clouds and lots of sun as well as the sunrise and sunset are her favorite times to observe the scenery, particularly nature. It serves to calm and center her mind and provides a welcome distraction from the daily stress and struggles of high school.